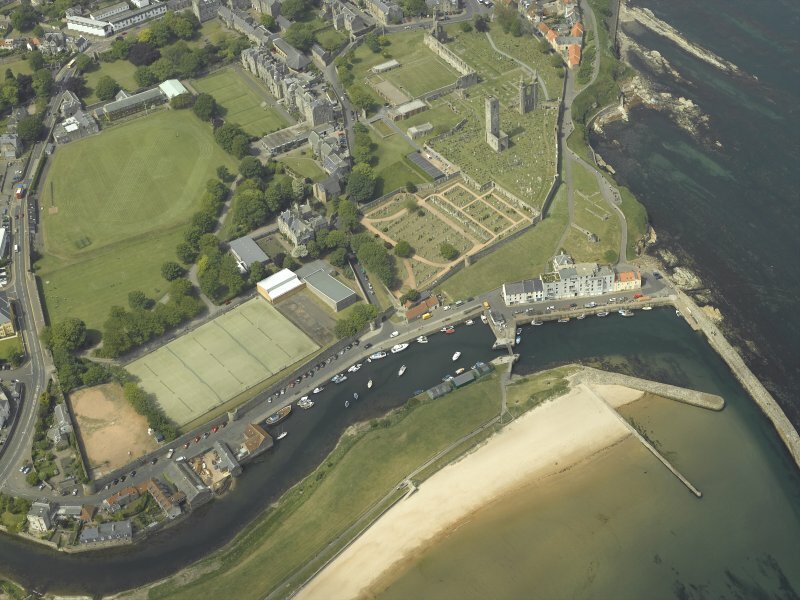 Oblique aerial view of St Andrews centred on the harbour with the cathedral and school adjacent, taken from the ESE. 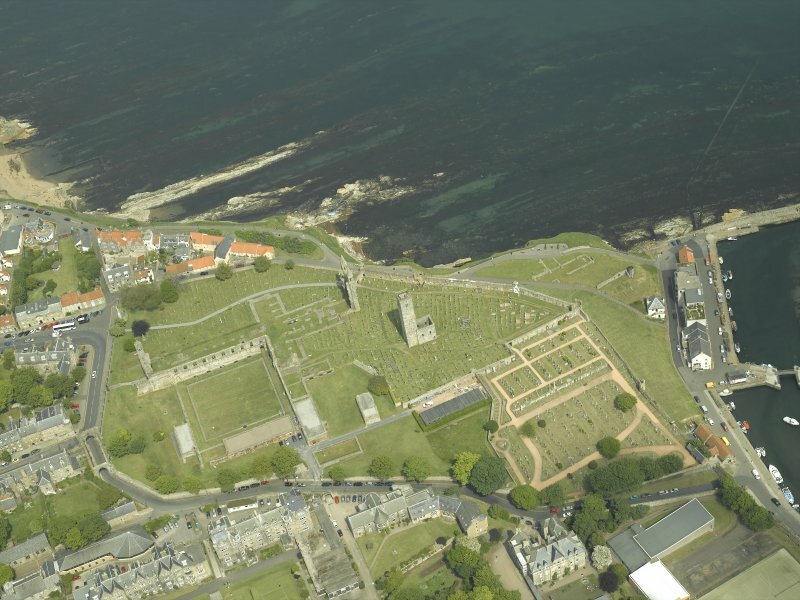 Oblique aerial view centred on the remains of the cathedral with the school adjacent, taken from the SW.
General oblique aerial view of the town centred on the remains of the cathedral and castle, taken from the S.
Oblique aerial view centred on the remains of St Andrews cathedral with the school, harbour and remains of the castle adjacent, taken from the WNW. 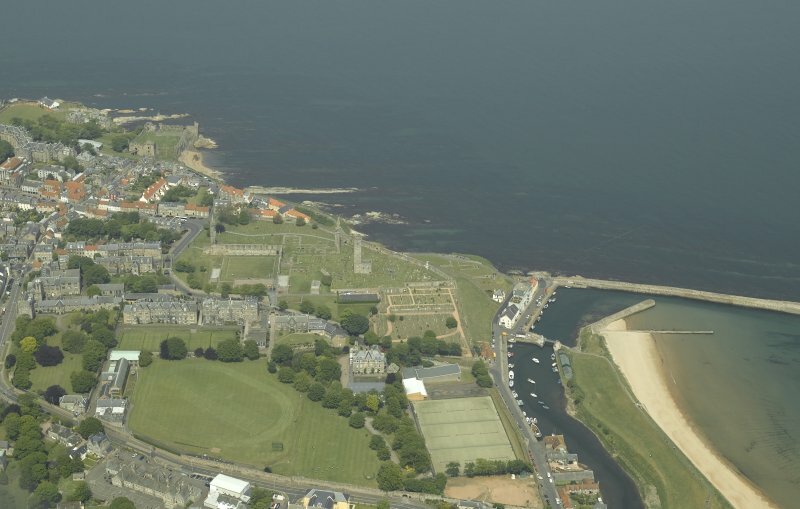 Oblique aerial view centred on the harbour with the cathedral adjacent, taken from the SE. 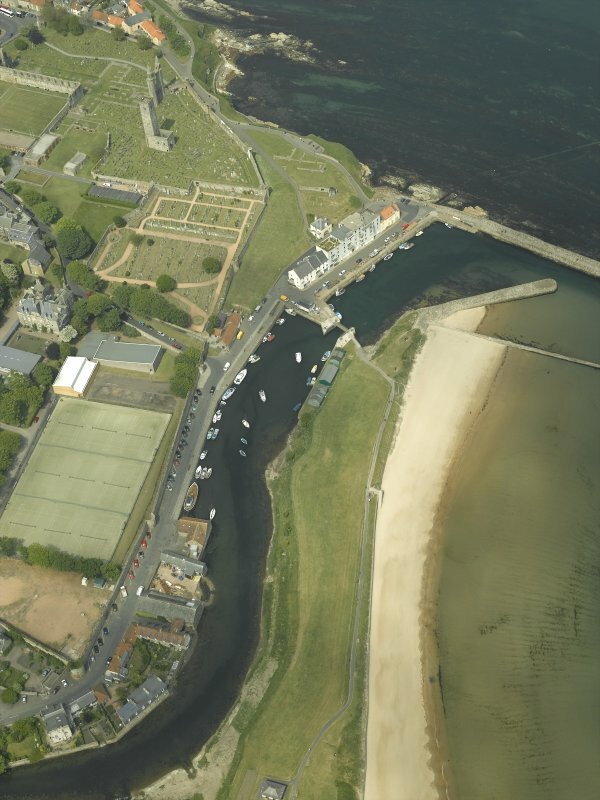 General oblique aerial view of the town centred on the remains of the cathedral and the harbour with the remains of the castle adjacent, taken from the S.
(NO 5148 1650) St.Andrews. 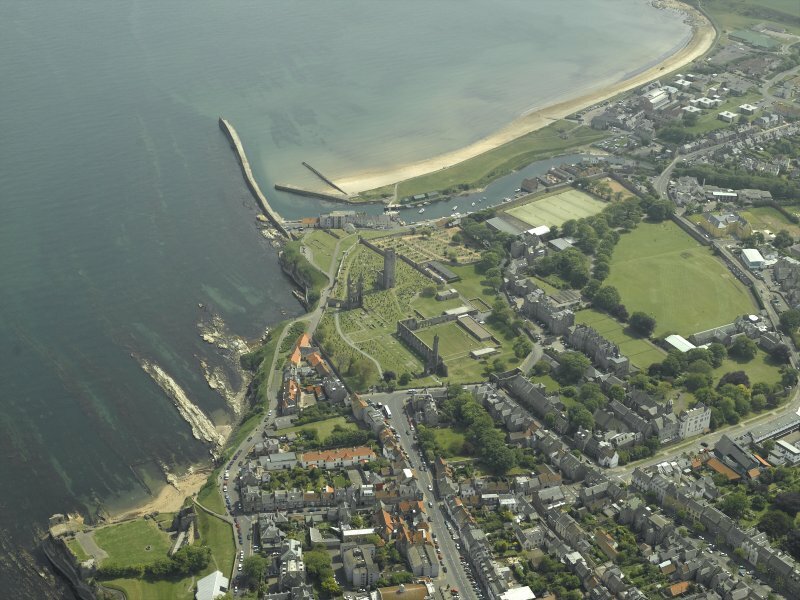 "The Abbey Mill..the mill dam and mill lead, sluices etc...are still in use." (Sited from plan on p.25). 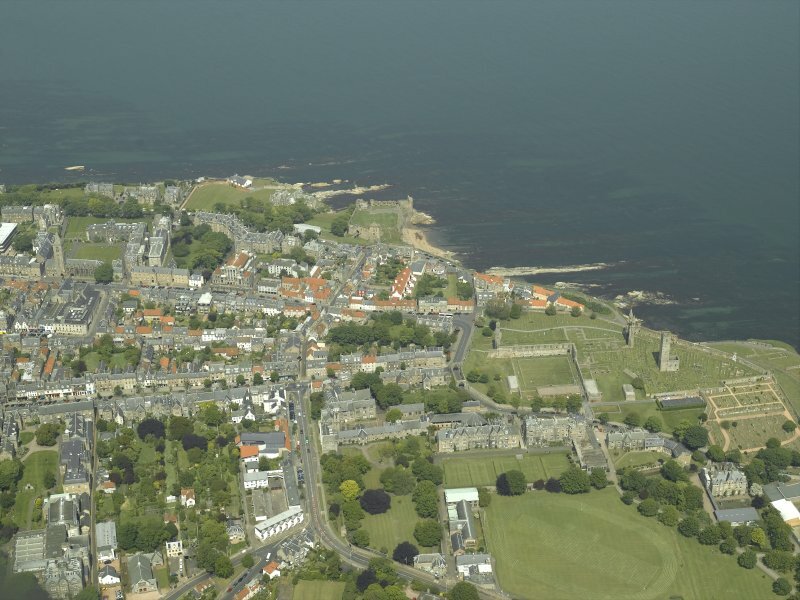 Prior James Bisset (1393-1416) reconstructed the mills and other buildings of the Priory. A modern dwelling house occupies the site of the Abbey Mill. The mill dam and lade are occupied by ornamental grounds.